Army LTG Michael Linnington, (Ret), has been selected by Secretary of Defense Ashton Carter to serve as the first Director of the Defense POW/MIA Accounting Agency (DPAA). 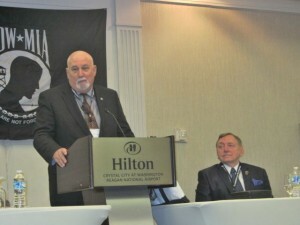 The agency is responsible for all POW/MIA recoveries from past wars. 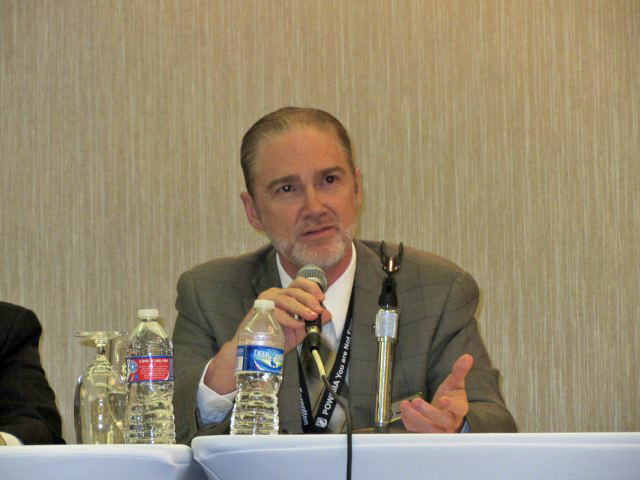 Linnington is not new to the accounting community, having served as an advisor before being named DPAA Director. June 19, 2015, Secretary of Defense Ashton Carter selected Army LTG Michael Linnington, (Ret), for the position as Director of the Defense POW/MIA Accounting Agency (DPAA). The newly formed agency is now responsible for investigations, searches, recoveries, identifications and repatriations of service members and personnel classified as POW/MIA, primarily from WWII, Korean War, Vietnam War and others as designated. DPAAs soft roll out came in January 2015, with the consolidation of the Joint POW/MIA Accounting Command (JPAC) and the Defense POW/Missing Personnel Office (DPMO). JPACs former Commander, Maj Gen Kelly McKeague, USAF, assumed the interim position as Deputy Commander of DPAA, under Interim Commander Rear Adm Michael Franken, USN, who has moved on to become Deputy Commander for Military Operations at U.S. Africa Command. It is my understanding that McKeague is currently serving as Deputy Director of DPAA; however, it is unknown if he will serve a tour of duty in that position now that the agency has a director in place. In my opinion, McKeague would be extremely helpful, dealing with the complexities of global field operations at this point in time. The Linnington announcement comes less than a week before families with loved ones still unaccounted for from the Vietnam War will be attending their annual League meeting in Washington, D.C. at which time DPAA will concurrently present a briefing to the group. 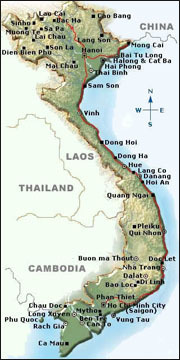 (MIA families from WWII and Korea will meet in August for a similar briefing). 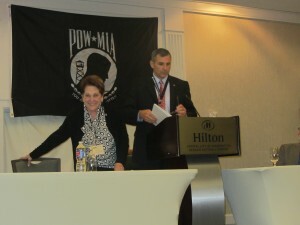 UPDATE: Linnington’s DPAA leadership role well- received by POW/MIA families at 2015 League Meeting. Now that Linnington has been selected, it is likely that he will attend the two briefings — even if able to make only a brief appearance at each. Families at the League meeting will be eager to meet him and to be reassured of his commitment to do everything possible to bring home MIAs from the Vietnam War and to quell any fears to the contrary (see update below). A native of Cape May, N.J., Linnington is a 1980 graduate of West Point, at which time he was commissioned as an infantry officer. 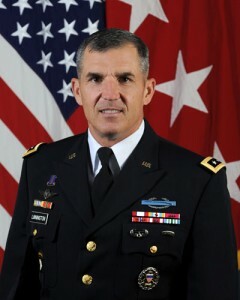 Later, the General received his MS in Applied Mathematics from Rensselaer Polytechnic Institute in Troy, N.Y., along with a Masters Degree in National Security Strategy from the National War College in Washington, D.C.
Having served in key command and staff positions during his 33 years of Army service, Linnington has accrued many domestic and international tours of duty. From 2002 to 2004 he took command of the 3d Brigade Combat Team (BCT), 101st Airborne Div (AASLT), both in Operation Enduring Freedom (OEF) in Afghanistan and Operation Iraqi Freedom (OIF) in Iraq. Comfortable in the D.C. arena, Linnington has served multiple tours there, and in July 2013 assumed duties as Military Deputy to the Under Secretary of Defense (Personnel and Readiness). The General is not new to the accounting community, having served as an advisor to Franken and McKeague since the inception of DPAA, which places him in a much better position than someone coming into a start-up agency of sorts with no prior knowledge of the system. According to recent press coverage, the Office of the Deputy Chief Management Officer was tasked with assisting DPAA during the transition period with a workplace assessment to develop performance measures and a new organizational structure. It is likely that Linnington will place priority on reviewing all the recommendations compiled by the various work groups, especially as they relate to personnel. The agency is still in the growth mode.